Copyright 2010 by Aaron Goldman and McGraw-Hill. All rights reserved. All other trademarks and copyrights are the property of their respective holders. 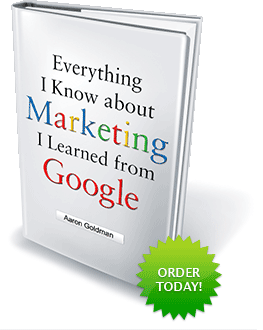 Note: neither this book nor the author is affiliated with Google. Join the e-mail list. Don't worry, you won't be spammed. That's another lesson learned from Google.